What makes Riad Numero 9 so Darn Good? It looks – as with most traditional riads – like nothing from the outside, but through that metal-studded door lays a mosaic-tiled oasis of a boutique hotel. Meticulously restored by owner Stephen, Riad Numero 9 is furnished with antiques and curios from Morocco, Europe and the Far East. 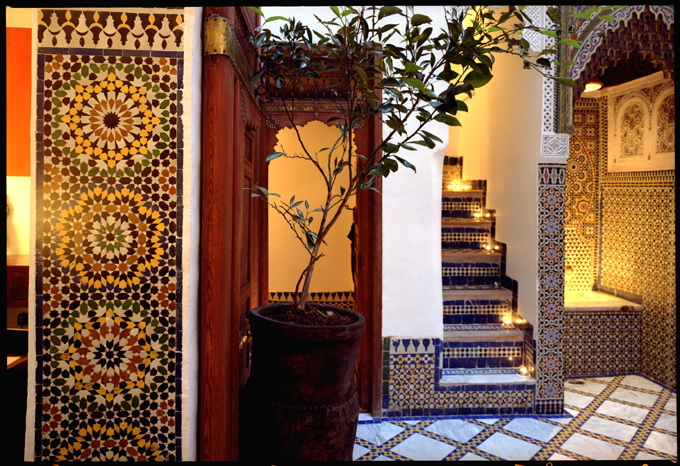 Location: The riad is located about a ten-minute walk from Bab Boujeloud, the main entrance gate to Fez’s medina. The city is notoriously difficult to navigate and a guide will be sent to meet you (at no extra charge) from the airport. Rooms: There are just three suites (though the riad has plans to expand); I stayed in the Master Suite, which takes up an entire floor. It is split over two huge rooms – the first is a bedroom/dining area, the second a bathroom, complete with a pair of 1930s dentist chairs – with a narrow, birdcage-adorned walkway in between. The other suites are smaller, but no less lavish. All rooms have intricately carved cedar-wood ceilings, double beds and private, spacious bathrooms. 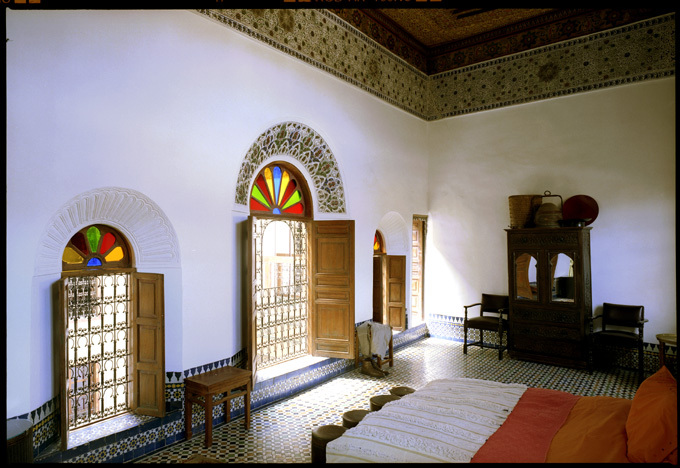 The riad is very suited to exclusive rental but rooms are also let individually. The smallest starts at 100 Euros per night. 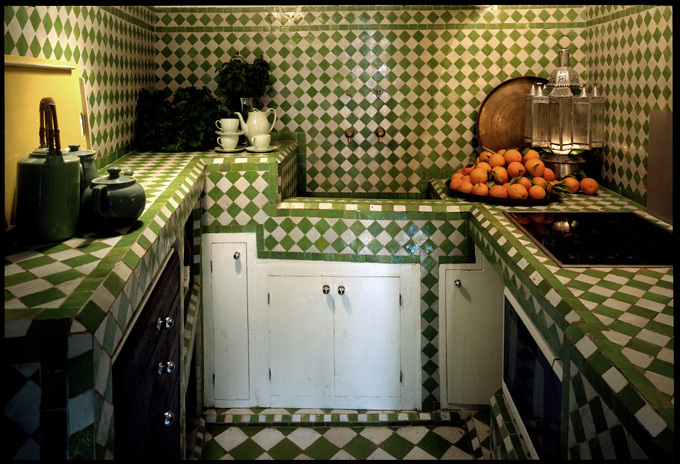 Food: Stephen’s French partner, Bruno, is a trained chef and oversees all things culinary at the riad. As is usual with these traditional Moroccan houses, breakfast is included in the room rate and all other meals are arranged on request. Take breakfast on the roof terrace, which boasts the best view of the medina that I could find. I have very fond memories of eating home-made banana jam, French toast and hot waffles, listening to the hustle and bustle of Fez drifting up through the latticed fencing. Vibe: The vibe at Riad Numero 9 is intimate and exclusive; I felt like I was staying in the home of a very rich, cultured friend. Things to Keep in Mind: Don’t expect the staff to wait on you hand-and-foot; you’re urged to treat the place like your own (gaspingly gorgeous) home. A selection of CDs, books, and comfy seating is positioned around the sunken Japanese table in the courtyard, and a mini-fridge stocked with wine and beer is tucked away on one of the upper levels. You’re also at liberty to explore the kitchen for snacks. Thank you Nadia for nominating Riad Numero 9 in Fez, Morocco! If you have stayed at any amazing locally hotels and want to share them, please nominate them at Darn Good Digs.